One of the hardest parts about a loved one dying is the sense of disconnection. I can relate to that awful feeling—I’ve experienced it many times. A special person comes to mind. For nine full months, I grieved his death. It seemed like all color had left my world during that time. Joy was virtually nonexistent. In fact, I think I avoided joy—clinging to grief instead. I somehow believed our connection would stay intact if I remained in that grief-space. Not only that, I thought that moving on seemed like letting go . . . even dishonoring what he meant to me. A betrayal of sorts. At the end of those nine months, I came to realize something: Joy—not misery—is the space of connection. An image of him in my mind prompted that sudden shift in my perception. He was looking lovingly into my eyes . . . and he was joyful. Radiant, in fact—a far cry from miserable. I smiled back and a warmth I hadn’t felt for nearly a year filled my entire being. This is how they communicate, I thought. I can’t see, touch or hear him anymore, but I can experience nearness. Now when I think about him, I smile. That smile immediately ushers me into a joy-space. It’s the only space he can be in and the only space where I can find him. That comforting image of him wasn’t new. It had penetrated my consciousness before, but I’d ignored it. I’ve discovered that others have experienced something similar. When I tell people I saw my sister and my father smiling ear-to-ear after their deaths, invariably they start nodding knowingly. We then begin to share our stories. Yes, grief has its place. It sets the stage for an intimate connection with ourselves and with the truth and depth of our feelings. In a way, grief can be comforting as it shuts out the noise and artificiality of everyday life. 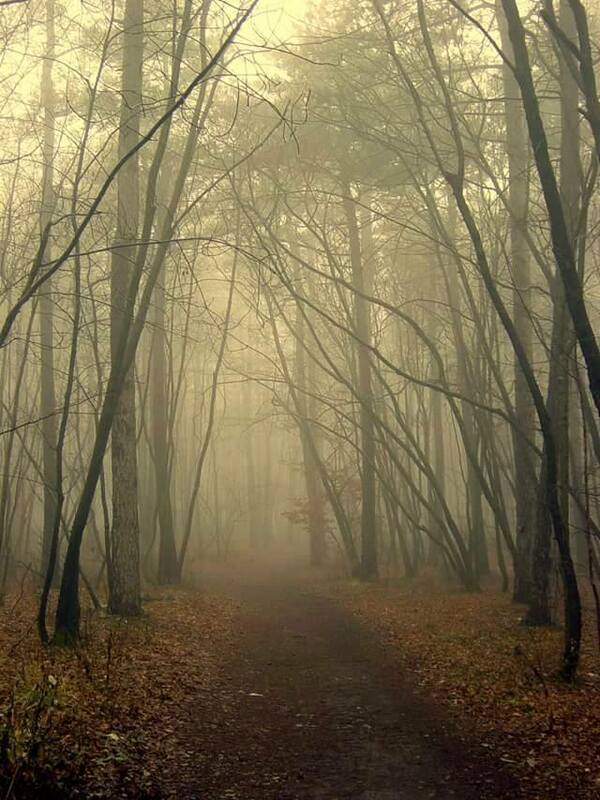 It’s a silent walk down a gray and misty path. We need that for our goodbyes and reminiscences. When I started reading this I immediately knew you were talking about your dad and sister. What comforting words you have written to those who experiencing the death of a loved one. Now, all I see of my dad is a smiling face, glowing with warmth. That’s all he ever truly was. It brings me warmth thinking about him! Thanks for helping me walk through grief and allowing me the opportunity to honor it! I, too, believe that remembering our loved ones who have passed helps us move from sorrow to joy, each at our own pace, in our own time. Thank you for sharing the relationship of joy to sorrow. Thanks Jane! I so appreciate what you had to say.